Preface: The Charter of Athens got its name from location of the fourth CIAM conference in 1933, which, due to the deteriorating political situation in Russia, took place on the S.S. Patris bound for Athens from Marseilles. The Charter had a huge impact on urban planning after World War II. The Athens Charter (French: Charte d’Athènes) was a document about urban planning published by the Swiss architect, Le Corbusier in 1943. The work was based upon Le Corbusier’s Ville Radieuse (Radiant City) book of 1935 and urban studies undertaken by the Congrès International d’Architecture Moderne (CIAM) in the early 1930s. It was produced in 1933 as a result of the IV International Congress of Modern Architecture which took as its theme “the functional city” and focused on urbanism and the importance of planning in urban development schemes. This document was produced as a result of the IV International Congress of Modern Architecture which took as its theme “the functional city” and focused on urbanism and the importance of planning in urban development schemes. It includes urban ensembles in the definition of the built heritage and emphasizes the spiritual, cultural and economic value of the architectural heritage. It includes a recommendation calling for the destruction of urban slums and creation of “verdant areas” in their place, denying any potential heritage value of such areas. It condemns the use of pastiche for new construction in historic areas. The Congrès internationaux d’architecture moderne (CIAM), or International Congresses of Modern Architecture, was an organization founded in 1928 and disbanded in 1959, responsible for a series of events and congresses arranged across Europe by the most prominent architects of the time, with the objective of spreading the principles of the Modern Movement focusing in all the main domains of architecture (such as landscape, urbanism, industrial design, and many others). This document was produced as a result of the IV International Congress of Modern Architecture which took as its theme “the functional city” and focused on urbanism and the importance of planning in urban development schemes. The document includes urban ensembles in the definition of the built heritage and emphasizes the spiritual, cultural and economic value of the architectural heritage. It includes a recommendation calling for the destruction of urban slums and creation of “verdant areas” in their place, denying any potential heritage value of such areas. It condemns the use of pastiche for new construction in historic areas. 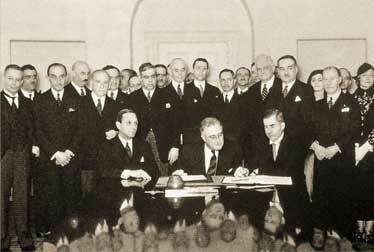 This is a retyped version of a translated document entitled The Athens Charter, 1933. J.Tyrwitt created the translation from French to English in 1943; the translation was thereafter published by Harvard University’s Library of the Graduate School of design. It is included here for educational reference purposes only. The Getty suggests that when referencing this document, the original document should be consulted (see citation below). The formatting, to the best of our abilities, have remained intact and any original typographical errors noted, but otherwise have been left unchanged. Congress Internationaux d’Architecture moderne (CIAM), La Charte d’Athenes or The Athens Charter, 1933. Trans J. Tyrwhitt. Paris, France: The Library of the Graduate School of Design, Harvard University, 1946. 1. 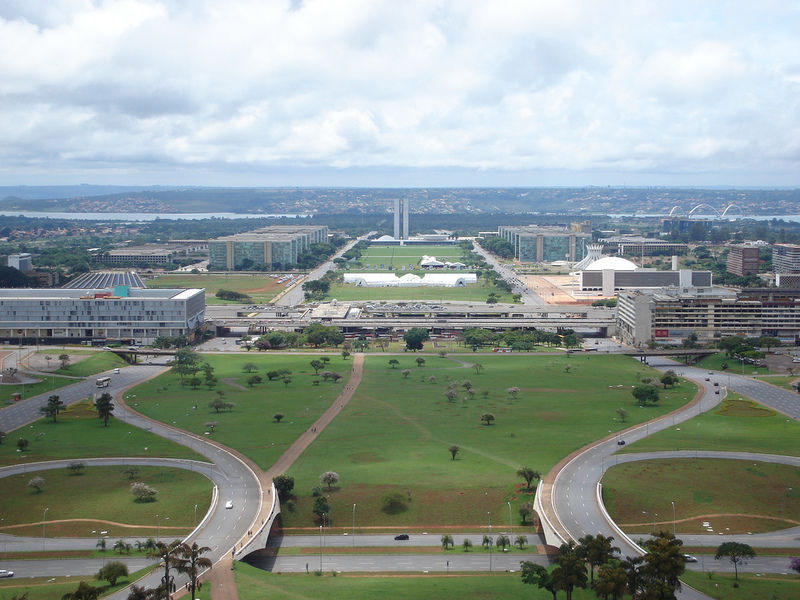 The city is only a part of the economic, social and political entity which constitutes the region. 2. Economic, social and political values are juxtaposed with the psychological and physiological attributes of the human being, raising problems of the relations between the individual and the community. Life can only expand to the extent that accord is reached between these two opposing forces: the individual and the community. 3. Psychological and biological constants are influenced by the environment: its geographic and topographic situation as well as its economic and political situation. The geographic and topographic situation is of prime importance, and includes natural elements, land and water, flora, soil, climate, etc. 4. Next comes the economic situation, including the resources of the region and natural or manmade means of communication with the outside world. 5. Thirdly comes the political situation and the system of government and administration. 6. Special circumstances have, throughout history, determined the character of individual cities: military defense, scientific discoveries, different administrations, the progressive development of communications and methods of transportation (road, water, rail, air). 7. The factors which govern the development of cities are thus subject to continual change. 8. The advent of the machine age has caused immense disturbances to man’s habits, place of dwelling and type of work; an uncontrolled concentration in cities, caused by mechanical transportation, has resulted in brutal and universal changes without precendent [sic] in history. Chaos has entered into the cities. 9. The population density is too great in the historic, central districts of cities as well as in some nineteenth century areas of expansion: densities rise to 1000 and even 1500 inhabitants per hectare (approximately 400 to 600 per acre). 10. In the congested urban areas housing conditions are unhealthy due to insufficient space within the dwelling, absence of useable green spaces and neglected maintenance of the buildings (exploitation based on speculation). This situation is aggravated by the presence of a population with a very low standard of living, incapable of initiating ameliorations (mortality up to 20 per cent). 11. Extensions of the city devour, bit by bit, its surrounding green areas; one can discern the successive rings of development. This ever greater separation from natural elements heightens the harmful effects of bad sanitary conditions. 12. Dwellings are scattered throughout the city without consideration of sanitary requirements. 14. Low indensity developments (middle income dwellings) occupy the advantageous sites, sheltered from unfavorable winds, with secure views opening onto an agreeable countryside, lake, sea, or mountains, etc. and with ample air and sunlight. 15. This segregation of dwellings is sanctioned by custom, and by a system of local authority regulations considered quite justifiable: zoning. 16. Buildings constructed alongside major routes and around crossroads are unsuitable for dwellings because of noise, dust and noxious gases. 17. The traditional alignment of houses along the sides of roads means that good exposure to sunlight is only possible for a minimum number of dwellings. 18. The distribution of community services related to housing is arbitrary. 19. Schools, in particular, are frequently sited on busy traffic routes and too far from the houses they serve. 20. Suburbs have developed without plans and without well organized links with the city. 21. Attempts have been made too late to incorporate suburbs within the administrative unit of the city. 22. Suburbs are often merely an agglomeration of hutments where it is difficult to collect funds for the necessary roads and services. 23. Residential areas should occupy the best places in the city from the point of view of typography, climate, sunlight and availability of green space. 24. The selection of residential zones should be determined on grounds of health. 25. Reasonable densities should be imposed related both to the type of housing and to the conditions of the site. 26. A minimum number of hours of sunlight should be required for each dwelling unit. 28. Full use should be made of modern building techniques in constructing highrise apartments. 29. Highrise apartments placed at wide distances apart liberate ground for large open spaces. 30. Open spaces are generally insufficient. 31. When there is sufficient open space it is often badly distributed and, therefore not readily usable by most of the population. 32. Outlying open spaces cannot ameliorate areas of downtown congestion. 33. The few sports fields, for reasons of accessibility, usually occupy sites earmarked for future development for housing or industry: which makes for a precarious existance [sic] and their frequent displacement. 34. Land that could be used for week-end leisure is often very difficult of access [sic]. 35. All residential areas should be provided with sufficient open space to meet reasonable needs for recreation and active sports for children, adolescents and adults. 36. Unsanitary slums should be demolished and replaced by open space. This would ameliorate the surrounding areas. 37. The new open spaces should be used for well-defined purposes: children’s playgrounds, schools, youth clubs and other community buildings closely related to housing. 38. It should be possible to spend week-end free time in accessible and favorable places. 39. These should be laid out as public parks, forests, sports grounds, stadiums, beaches, etc. 40. Full advantages should be taken of existing natural features: rivers, forests, hills, mountains, valleys, lakes, sea, etc. 41. Places of work are no longer rationally distributed within the urban complex. This comprises industry, workshops, offices, government and commerce. 42. Connections between dwelling and place of work are no longer reasonable: they impose excessively long journeys to work. 43. The time spent in journeying to work has reached a critical situation. 44. In the absence of planning programs, the uncontrolled growth of cities, lack of foresight, land speculation, etc. have caused industry to settle haphazardly, following no rule. 45. Office buildings are concentrated in the downtown business district which, as the most privileged part of the city, served by the most complete system of communications, readily falls prey to speculation. Since offices are private concerns effective planning for their best development is difficult. 46. Distances between work places and dwelling places should be reduced to a minimum. 47. Industrial sectors should be separated from residential sectors by an area of green open space. 48. Industrial zones should be contiguous with railroads, canals and highways. 49. Workshops, which are intimately related to urban life, and indeed derive from it, should occupy well designed [sic] areas in the interior of the city. 50. Business districts devoted to administration both public and private, should be assured of good communications with residential areas as well as with industries and workshops within the city and upon its fringes. 51. The existing network of urban communications has arisen from an agglomeration of the aids [sic] roads of major traffic routes. In Europe these major routes date back well into the middle ages [sic], sometimes even into antiquity. 52. Devised for the use of pedestrians and horse drawn vehicles, they are inadequate for today’s mechanized transportation. 53. These inappropriate street dimensions prevent the effective use of mechanized vehicles at speeds corresponding to urban pressure. 54. Distances between crossroads are too infrequent. 55. Street widths are insufficient. Their widening is difficult and often ineffectual. 56. Faced by the needs of high speed [sic] vehicles, present the apparently irrational street pattern lacks efficiency and flexibility, differentiation and order [sic]. 57. Relics of a former pompous magnificence designed for special monumental effects often complicate traffic circulation. 58. In many cases the railroad system presents a serious obstacle to well planned urban development. It barricades off certain residential districts, depriving them from easy contact with the most vital elements of the city. 59. Traffic analyses be made, based on accurate statistics, to show the general pattern of circulation in the city and its region, and reveal the location of heavily travelled [sic] routes and the types of their traffic. 60. Transportation routes should be classified according to their nature, and be designed to meet the rrquirements [sic] and speeds of specific types of vehicles. 61. Heavily used traffic junctions should be designed for continuous passage of vehicles, using different levels. 62. Pedestrian routes and automobile routes should follow separate paths. 63. Roads should be differentiated according to their functions: residential streets, promenades, through roads, major highways, etc. 64. In principle, heavy traffic routes should be insulated by green belts. 65. Fine architecture, whether individual buildings or groups of buildings, should be protected from demolition. 66. The grounds for the preservation of buildings should be that they express an earlier culture and that their retention is in the public interest. 67. But their preservation should no [sic] entail that people are obliged to live in unsalubrius [sic] conditions. 68. If their present location obstructs development, radical measures may be called for, such as altering major circulation routes or even shifting existing central districts – something usually considered impossible. 69. The demolition of slums surrounding historic monuments provides an opportunity to create new open spaces. 70. The re-use of past styles of building for new structures in historic areas under the pretext of assthetics [sic] has disastrous consequences. The continuance or the introduction of such habits in any form should not be tolerated. 71. Most of the cities studied present an image of chaos. They do not correspond in any way to their ultimate purpose: to satisfy the basic biological and physiological needs of their inhabitants. 72. The irresponsibility of private enterprise has resulted in a disastrous rupture of the equilibrium between strong economic forces on one side and, on the other, weak administrative controls and powerless social interests. 73. Although cities are constantly changing, their development proceeds without order or control and with no attempt to apply contemporary town planning principles, such as have been specified in professionally qualified circles. 74. The city should assure both individual liberty and the benefits of collective action on both the spiritual and material planes. 75. The dimensions of everything wi thin [sic] the urban domain should relate to the human scale. 76. The four keys to urban planning are the four functions of the city: dwelling, work, recreation (use of leisure time), transportation. 77. The city plan sould [sic] determine the internal structure and the interrelated positions in the city of each sector of the four key functions. 78. The plan should ensure that the daily cycle of activities between the dwelling, workplace and recreation (recuperation) can occur with the utmost economy of time. The dwelling should be considered as the prime center of all urban planning, to which all other functions are attached. 79. The speeds of mechanized transportation have disrupted the urban setting, presenting an ever-present danger, obstructing or paralyzing communications and endangering health. 80. The principle of urban and suburban circulation must be revised. A classification of acceptable speeds must be established. A reformed type of zoning must be set up that can bring the key functions of the city into a harmonious relationship and develop connections between them. These connections can then be developed into a rational network of major highways. 81. Town planning is a science based on three dimensions, not on two. This introduces the element of height which offers the possibility of freeing spaces for modern traffic circulation and for recreational purposes. 82. The city should be examined in the context of its region of influence. A plan for the total economic unit – the city-region – must replace the simple master plan of a city. 83. The city should be able to grow harmoniously as a functioning urban unity in all its different parts, by means of preordained open spaces and connecting links, but a state of equilibrium should exist at every stage of its development. 84. It is urgently necessary for every city to prepare a planning program indicating what laws will be needed to bring the plan to realization. 85. The planning program must be based on rigorous analytical studies carried out by specialists. It must foresee its stages of development in time andspace [sic]. It must coordinate the natural resources of the site, its topographic advantages, its economic assets, its social needs and its spiritual aspirations. 86. The architect engaged in town planning should determine everything in accordance with the human scale. 87. The point of departure for all town planning should be the single dwelling, or cell, and its grouping into neighborhood units of suitable size. 88. With these neighborhood units as the basis, the urban complex can be designed to bring out the relations between dwelling, places of work and places devoted to recreation. 89. The full resources of modern technology are needed to carry out this tremendous task. This means obtaining the cooperation of specialists to enrich the art of building by the incorporation of scientific innovations. 91. And not, in the last resort, by questions of architecture. 92. The magnitude of the urgent task of renovating the cities, and the excessive subdivision of urban land ownerships present two antagonistic realities. 93. This sharp contradiction poses one of the most serious problems of our time: the pressing need to regulate the disposition of land on an equitable and legal basis, so as to meet the vital needs of the community as well as those of the individual. 94. Private interests should be subordinated to the interests of the community. Congress Internationaux d’Architecture moderne (CIAM), La Charte d’Athenes or The Athens Charter, 1933. Trans J.Tyrwhitt. Paris, France: The Library of the Graduate School of Design, Harvard University, 1946. Gold, J. R. (1998). 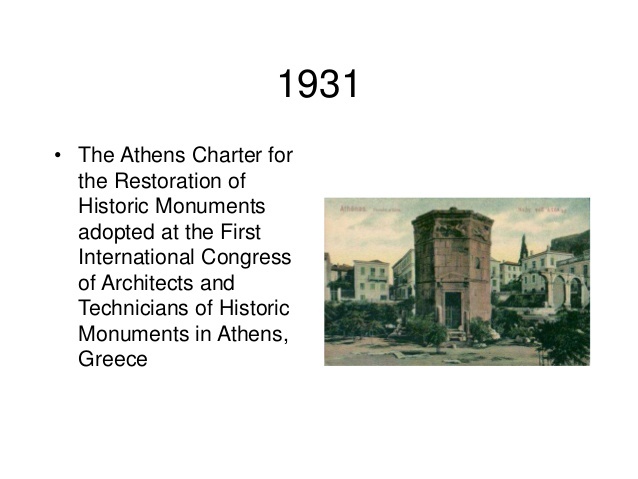 Creating the Charter of Athens: CIAM and the functional city, 1933-43. Town Planning Review, 69(3), 225. Jacobs, A., & Appleyard, D. (1987). Toward an urban design manifesto. Journal of the American Planning Association, 53(1), 112-120.